Compression socks and stockings can increase blood flow to restore “fresh legs”! Compression stockings are specialized socks that can be worn from the foot to the knee or thigh. In some cases, they come in the form of tights that reach up to the waist. They also come as “sleeves,” footless socks that stretch from the ankle to the knee. These specialized stockings have a gradient of pressure (tighter in the foot and gradually less so toward the knees or thighs). When worn properly, these stockings reduce swelling in the feet and also improve venous circulation in the legs. Compression stockings or socks are a conservative method of treating disorders such as chronic venous insufficiency (CVI), varicose veins, lymphedema and post-thrombotic syndrome (PTS), and they can also help prevent blood clots from forming in the legs. It is important to know that compression socks do not eliminate varicose veins. They just help control the discomfort that vein disease can cause. Compression wear is called “graduated” because it is designed to apply more pressure in the ankle and foot and gradually decrease the pressure applied up the leg. This encourages the natural return of blood to the heart. Most insurance companies and Medicare require patients wear compression prior to procedures. Many of our patients also wear compression stockings after procedures on their legs. There is a new FDA approved medical vein treatment called VenaSeal that does not require compression garments after their procedure. They help minimize bruising, staining matting and clot formation (patients with family history of blood clots and strokes can have increased risk) in the treated veins. We are proud to serve everyone from elite athletes to centenarians for compression sock and sleeves for health, exercise, and travel. How Compression Works? Stockings help only when they are on. Ideally, they are worn daily when standing upright or sitting. They are generally removed while sleeping. Compression stockings may be worn for years and even for life when alternative treatments are not the best choice. Some people love them! They may relieve some symptoms but will not make “Veins go away” nor stop vein disease. The compression or pressure applied to the legs is measured in mmHg (millimeters of mercury). Typical compression socks are available in graduated compression pressures from 8-40 mmHg. Since most compression wear is recommended to be worn throughout the day, we offer a range of colors and patterns to suit personal taste and lifestyle. We recommend 23-30 mmHg stockings for most of our patients. Properly fitted compression wear requires accurate measurements of your ankle, calf, and thigh circumference as well as limb length. Proper customized fit of compression is critical – too tight and there is too much restriction of healthy blood flow; too loose and there is no pressure applied. Recovery times after exercise can also be improved with the use of compression socks. If you watch any athletic competition these days and you’re sure to see compression in action. Where can I purchase compression wear? 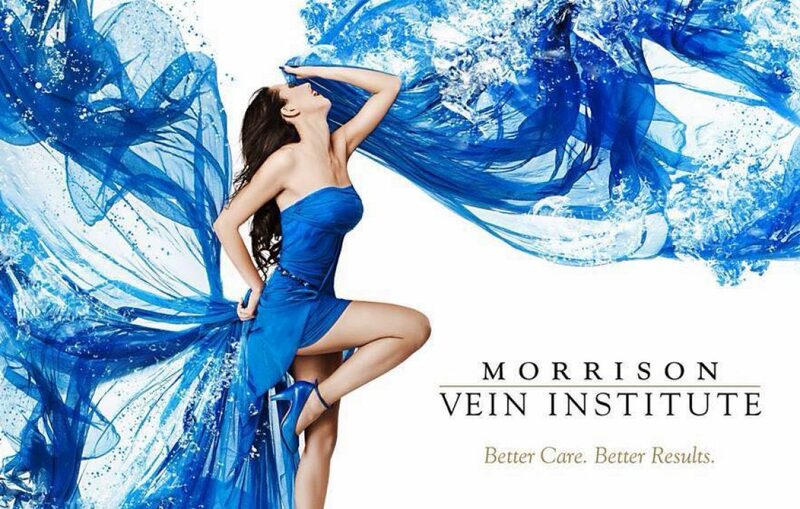 Morrison Vein Institute’s friendly and well-trained staff will assist you with making an appointment at no charge for personalized measuring, fitting, and ordering your compression hose. Questions? info@Morrisonvein.com Free compression stocking fitting appointment, if you mention this blog. Next What Makes Foam Sclerotherapy Safer?